With the inaugural sailing of the highly anticipated Emerald Harmony Star-Ship just a few months off—and with the 2019-2020 season nearly sold out—Emerald Waterways is pleased to announce that they are now taking Mekong River bookings for the 2020-2021 season. And better yet, guests who book a sailing of 12 days or more will receive free round trip airfare to Asia when booked by August 31, 2019. Guests booking the eight-day sailing will receive $500 off the price of the cruise. In addition, ALL guest who book by May 31 will receive an additional bonus $150 savings per person. With only 84 guests in 42 staterooms and suites, Emerald Harmony will offer an intimate and upscale sailing experience on the Mekong. The ship features spacious cabins, including 32, 273-square-foot Panorama Balcony Suites with drop-down windows; four, 398-square-foot Grand Balcony Suites; and two, 450-square-foot Owner’s Suites boasting wrap-around terraces with private hot tubs. The ship also boasts a pool located on the ship’s aft, an Asian-themed Horizon Bar & Lounge, and an impressive 2:1 guest to crew ratio. The menu in the main dining venue, Reflections Restaurant, will serve a locally-inspired menu showcasing native cuisine from the region. Featuring dark wooden tones and muted colours, the beautiful Lotus Lounge, situated at the front of the Vista Deck, is a new and quiet spot for guests to relax and watch the horizon unfold as the ship sails. ﻿Perhaps the most innovative feature of the newest Star-Ship is in its clever design—unlike most similar-sized Mekong river ships, the Emerald Harmony will be built to allow access to the centre of Ho Chi Minh City, meaning guests will disembark in the centre of the action rather than needing to be coached in from outside the city. ﻿Emerald Waterways will offer four unique itineraries on the Emerald Harmony, each designed to allow guests to discover a new and fascinating way of life, sample exotic cuisine and learn about a culture based on intensive agriculture and a warm community spirit. 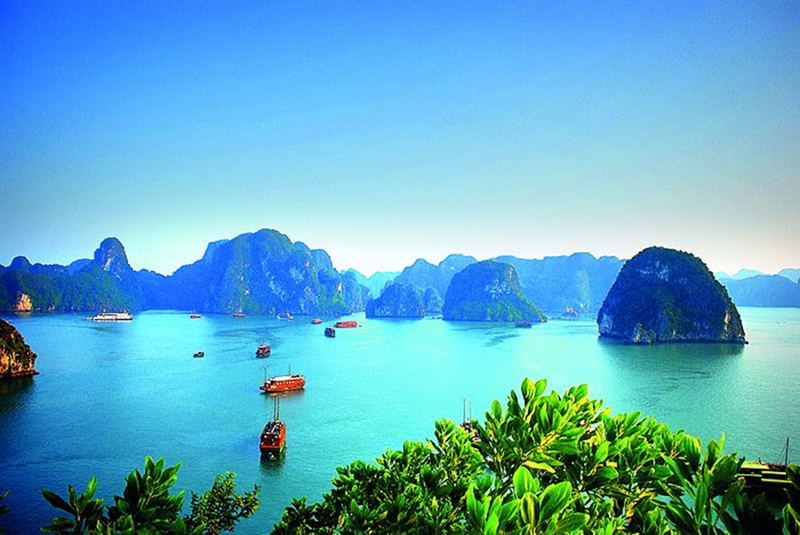 The eight-day Majestic Mekong Cruise sails between Prek’kdam and Ho Chi Minh City, while 13-day Majestic Mekong Discovery Cruise sails between Ho Chi Minh City and Siem Reap with time on land to explore Angkor Wat; the 17-day Treasures & Temples of Vietnam & Cambodia river cruise and tour adds stops in Hanoi and Halong Bay in the north, and the 21-day Grand Tour of Vietnam & Cambodia river cruise and tour includes stops at Hanoi, Halong Bay, Hoi An, Hue and Siem Reap. ﻿Emerald Waterways’ river cruises offer contemporary, deluxe ships, outstanding service and an incredibly inclusive pricing plan. Cruise fares include all transfers; all port charges; all onboard (and some on-shore) meals; unlimited specialty tea and coffee, wine, beer and soft drinks with lunch and dinner; bottled water in the cabins replenished daily; continental breakfast, pre-dinner canapés and after-dinner sweet treats served in the top suites; complimentary Wi-Fi onboard the ship; most shore excursions as well as all onboard and excursion gratuities. On touring days, hotel accommodations, internal flights, and transfers are also included. ﻿Part of Scenic Luxury Cruises & Tours, Emerald Waterways' eight branded Star-Ships offer river sailings in Europe and on the Mekong, as well as the MS Rossia along the Volga River in Russia; the Adriatic Princess and Adriatic Pearl yachts in Croatia; and the MS Hamees on the Nile. ﻿Additional information can be found by contacting your local travel agent; on Emerald Waterways’ website www.emeraldwaterways.ca; or by calling the Canadian consumer/travel agent reservations line (1-855-444-0161).